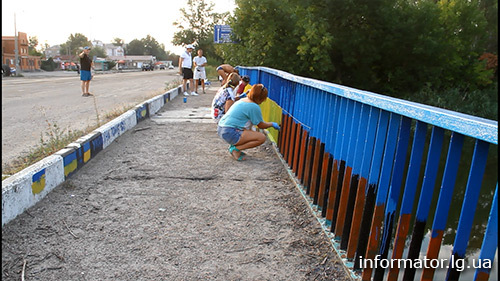 People who had to run out of Lugansk are painting the bridge in the colors of Ukrainian flag in the city of Shchastie just 20km from Lugansk. 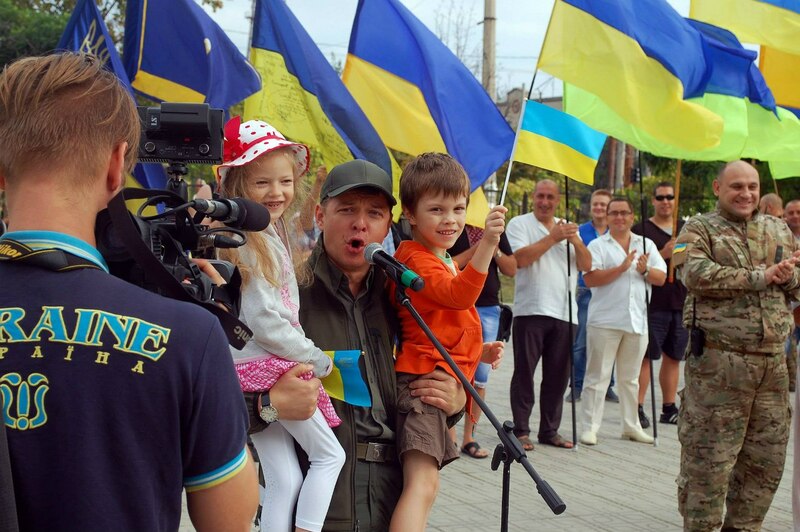 They wish Russian troops leave Lugansk, so they can come back to their homes. 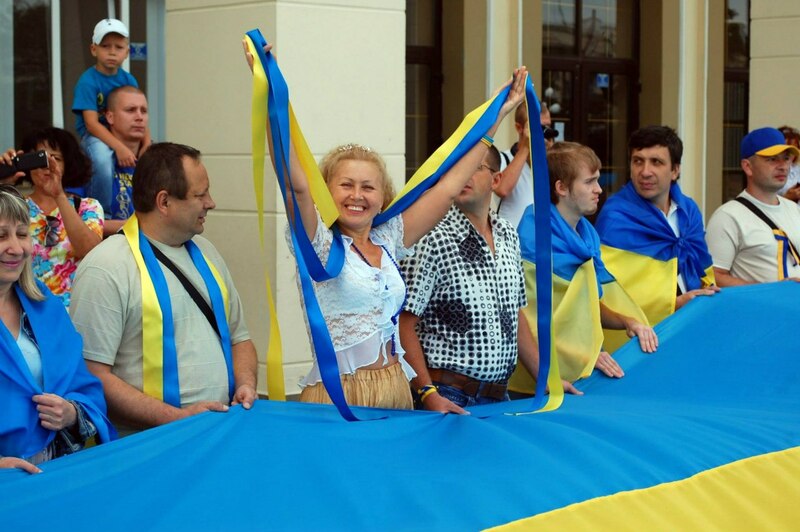 Today Lenin in Severodonetsk went down! 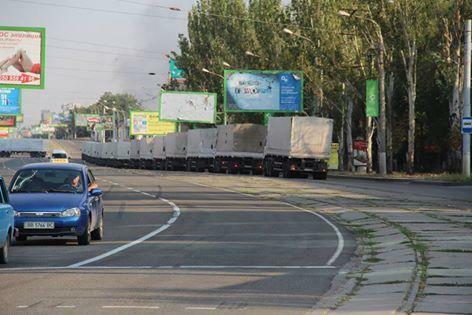 About 60 white trucks of Russian “humanitarian” convoy has already arrived to Lugansk. 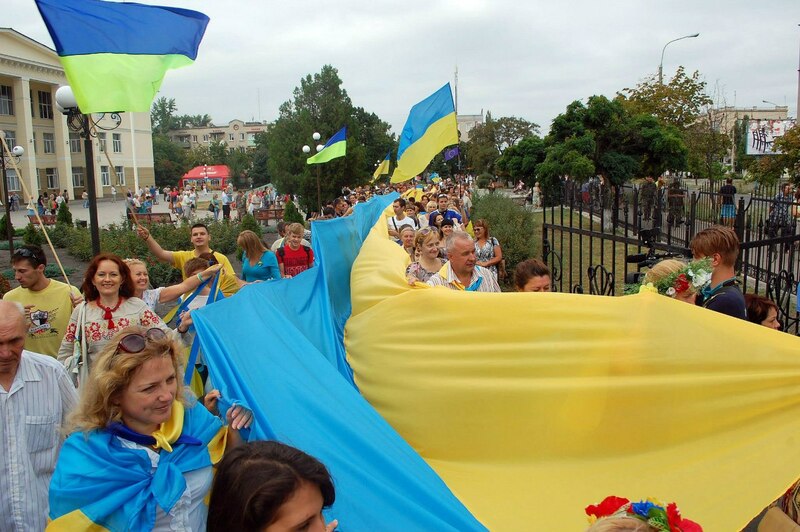 They entered from East side of the city by the road from Nikolaevka (also spelled as Mykolaivka) direction controlled by terrorists. 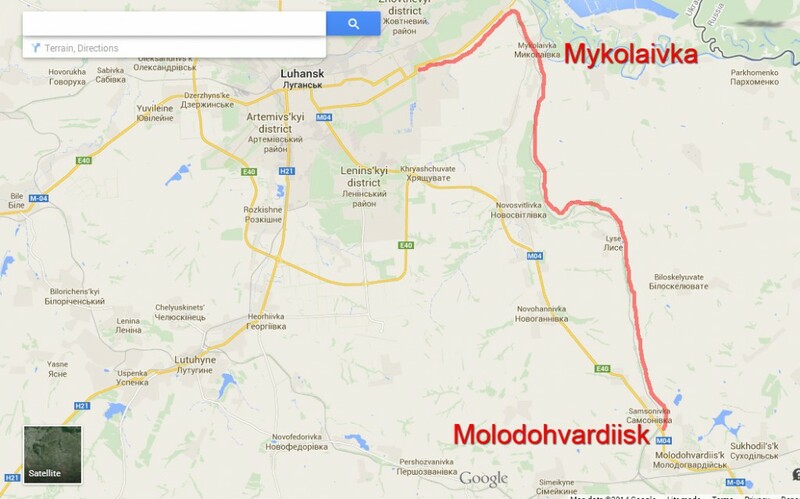 Here is the map that shows the road that the convoy took to avoid Ukrainian Army positions. 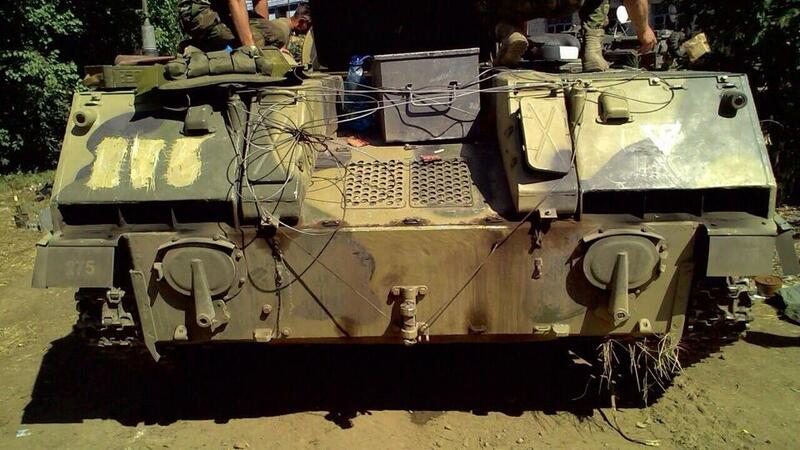 Here is the Russian convoy on the country road to Lugansk. 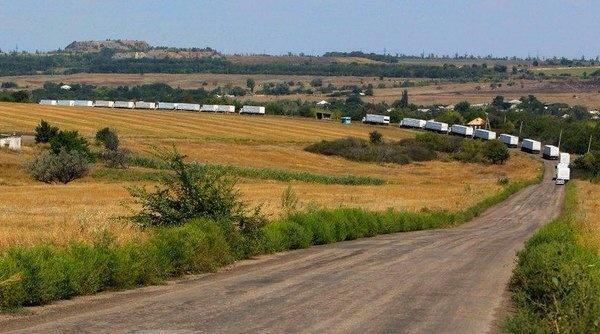 Russian convoy of “humanitarian” aid has crossed the border and moved into Ukraine. 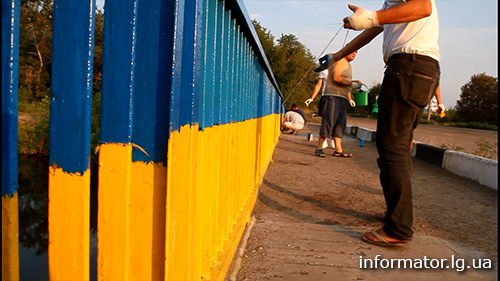 No Red Cross personnel and no permission from Ukrainian customs at Izvarino border control check-point. It was also reported that Russians plan to drive those trucks to Lugansk where Russian military convoy has entered few days ago. 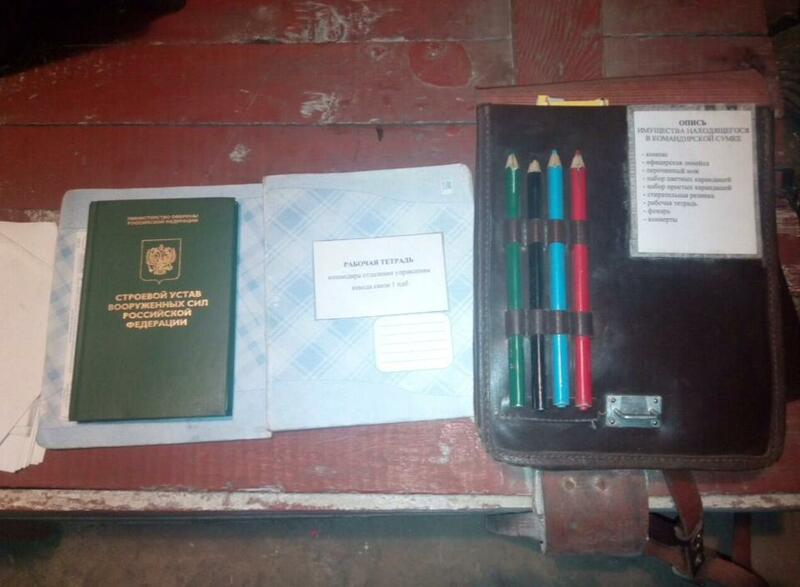 This is really supply for Russian soldier, not for locals. 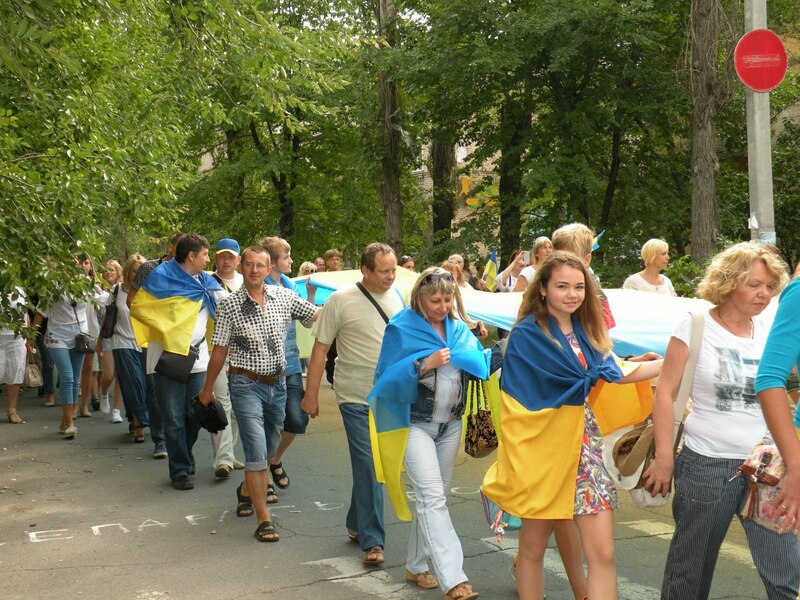 200+ white trucks invaded Ukraine. 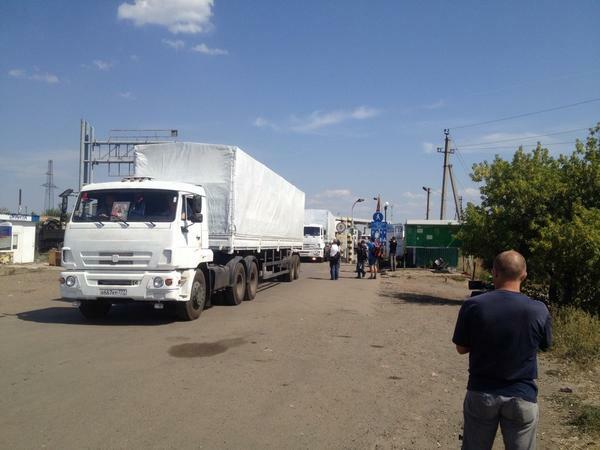 All the trucks have crossed the border and are now in Ukraine. 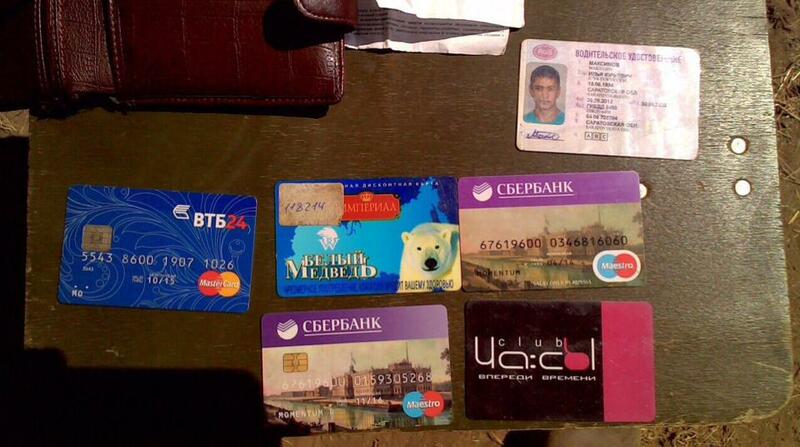 We are back in Russia. @ARothNYT When you say all….was it all 200+ trucks? @BBCDanielS yes, they kept coming out as we were following the convoy. 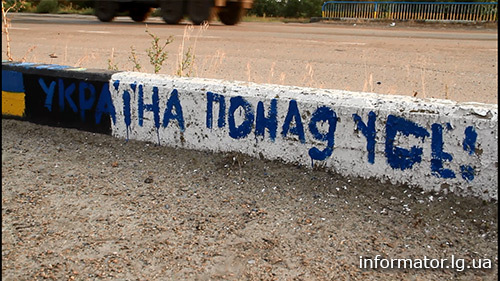 Here is the video of Russian white trucks driving in Ukraine, Lugansk direction. 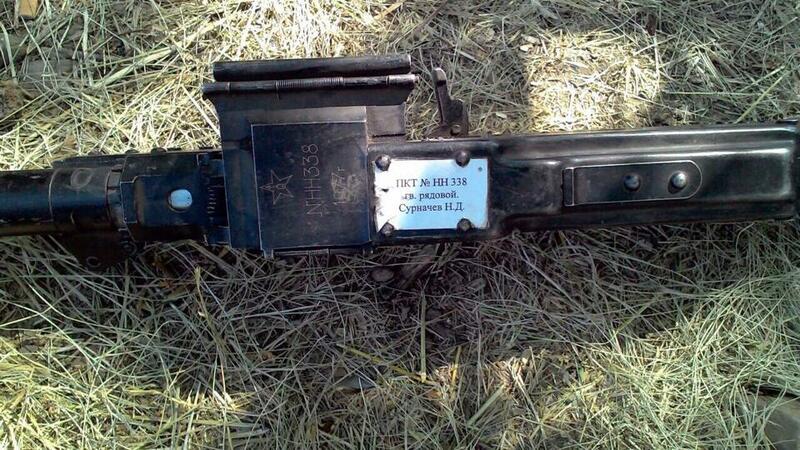 Pro-Russian terrorists shut down Su-25 aircraft of Ukrainian Army. 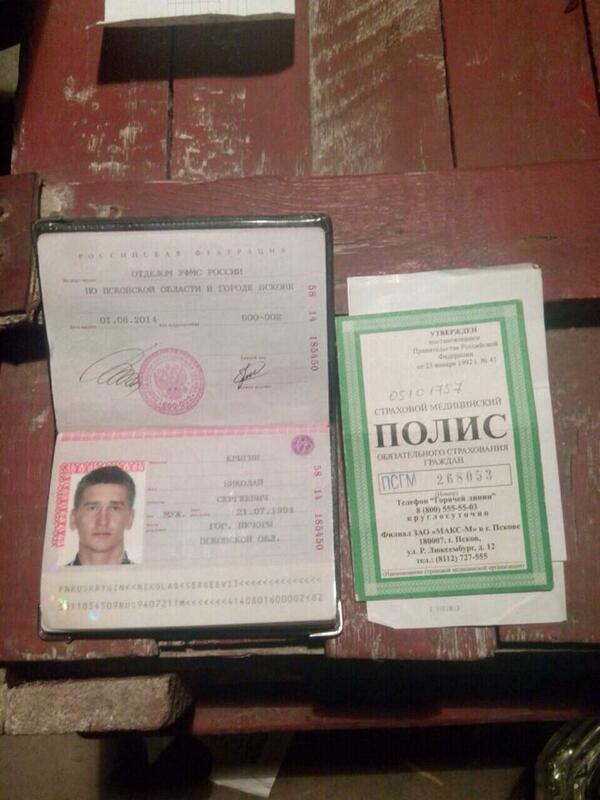 Today at about 6pm local time pro-Russian terrorists shut down Su-25 aircraft of Ukrainian Army. They used anti-aircraft rocket system that they have received from Russia yesterday with the convoy that got to Lugansk. The plane got hit above Heorhiivka village and crashed near Novosvitlivka village. The pilot ejected. It has been also reported that 2 Ukrainian helicopters has been hit today, but that information is not confirmed by Ukrainian officials yet. The center of #Lugansk looked like a ghost town yesterday, no people, no traffic, not even birds!